Very professional. In and out very quickly. Very little pain with procedure. The people at Blue Tail are great. They made me as comfortable as they could possibly make my visit. The treatment went very well. They are vary caring. Dr. Wolf is wonderful!!! Very knowledgeable and explains the whys behind what is happening to you. Also, very understanding of your needs. I highly recommend Dr. Wolf!! The people at Blue Tail are great. They made my visit as easy as it could be. They are vary caring. Everyone was on time and the procedure went exactly as explain to me and they explained everything step-by-step during the visit as well. Dr. Bayes is great along with Sarah! Took good care of me and are experts at stem cell therapy. Look forward in the coming months for a recovery from my injury. Very polite and knowledgeable, caring. 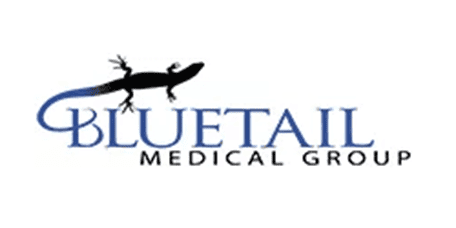 Always feel good with the time & concern shown by Dr. Podesta & the staff @ Bluetail Medical Group. Even though I have to drive from the Tampa area, it is definitely worth the trip. Dr. Bayes and his staff are very professional and caring. They made me feel at ease before my procedure and had my best interest during and after my procedure. I will recommend them to my friends suffering from the same issues that brought me to Dr. Bayes. MIRACLES happen at Bluetail! I am so grateful for the blessing of the stem cell injection to my knee by Dr Oliver. 2 1/2 years later, I can do a lot of physical things I could not do before the injection-like take care of my one year old grandson-:). The follow-up care I receive from Jeremy Dunbar is OUTSTANDING! He takes time to answer ALL my questions and really takes care of whatever concerns I bring to him. God bless Dr Oliver and Jeremy ! Wow! Super nice staff and a very thorough exam by Dr. Crane. Wonderful group of people. Knowledgable, but also caring and compassionate. Dr. Bayes is very knowledgeable, the staff is courteous and efficient. I recommended BlueTail to family members who are having orthopedic issues and if I have another issue I will definitely come back to BlueTail.